When you’re homeless or on the verge of being on the streets, where can you turn for help? Although several agencies offer services, there has been no one place in the state to call for emergency aid. That is about to change, thanks to a new partnership announced recently by Governor Ige. 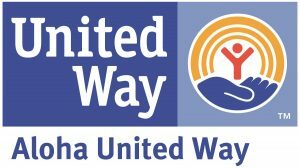 The state Department of Human Services and Aloha United Way are joining forces to provide immediate relief to homeless individuals and families. The recently finalized $5 million AUW contract includes short-term rent and utility payment for rapid re-housing and homelessness prevention; establishment of a Housing Coordination Center using AUW’s 211 phone system; and development of longer-term strategies to address the needs of specific homeless populations, including youth under age 18, prisoners recently released, and those with chronic health conditions.